We interrupt this mass [media] hysteria for a public service announcement: Not everything you hear or read is true. Your inner critic should immediately ask, well why should I believe you? You shouldn’t. Form your own opinion. Maybe you live in a magical land where no one can speak a lie and unicorns frolic with hippos and it snows but isn’t cold and no one ever gets sunburned and everyone is happy. Maybe you invented a pair of shades or a hearing aid that filters information so that all you see and hear is fact-checked, verified and valid. Or maybe you need to listen critically to information you get. You tell me. Alright, sorry for the snark, perhaps I’m a little riled up. There are a lot of crazy and horrible things going on out there kids; I don’t have to tell you that. My heart goes out to those who are suffering with loss and pain and fear. Its completely natural that we want to know what happened. Who, Why? Will it happen again? Could it happen to me or my loved ones? A thousand questions. And I’m happy they’re being asked, no matter how crazy, or hysterical, or out there, or inquisitive, or relentless, or unlikely they may seem. So now seems like a great time to share a great documentary with you nice folks. It’s called The Century of the Self, and it’s fantastic. It’s broken down in 4 parts: Happiness Machines, Engineering Consent, There is a Policeman Inside All Our Heads-He Must Be Destroyed, and Eight People Drinking Wine in Kettering. This 2002 BBC documentary explores and exposes the way psychology has been used to manipulate the individual and the masses in order to create a consumer-driven society. You’ll see how the propaganda machine used as a tool for World War II found a new home in consumerism after the war was over. It explores both corporate and governmental attempts (and successes) at influencing populations. A little something for everyone. Check it out. “Obamacare,” as it is affectionately called, has been slowly creeping into our lives. While this legislative maneuver was pragmatic–such sweeping reform could not be implemented overnight–the incremental adoption perhaps bears the imperceptible perk of stealth. While many are dreaming of a world where Americans have access to desperately needed health care, this massive piece of legislation is integrating itself into the fabric of our country in ways that cannot be easily undone, and will slowly reveal itself to add more gunk to the gears. Easily, the most controversial aspect of Obamacare is the “Mandate.” What is mandated, however, is not simply for the individual, but also for businesses. Businesses with fifty or more employees are required to provide a health care plan for their employees, or pay a fine ($2000 per employee), just as individuals are required to purchase insurance or pay a fine. The impact on small businesses, especially those that hire seasonal help, such as farms, is enormous. 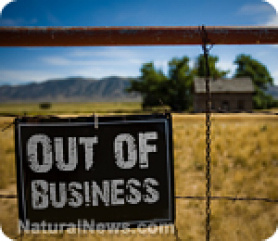 “A lot of farmers may think they are immune from the law, but this is the biggest change to health care since the creation of Medicare or Medicaid almost 50 years ago,” said Matt Coffindaffer, regulatory affairs manager for the National Council of Agricultural Employers. The Federal Register notices on the law have run about 14,000 pages and three federal agencies — Health and Human Services, the Department of Labor and the Treasury Department — are responsible for implementing 550 separate provisions in the law. The devil is in the details, as they say, and these details (a.k.a. regulations) are still being worked out. You can read more about farmer’s fears here. It’s no secret that comics and graphic novels are a forum for discussing politics, social policy and propaganda On one end of the spectrum, we have creations such as Maus, a Pulitzer prize-winning exploration of Holocaust survival, and Persepolis, a depiction of growing up during the Persian Gulf War of the 80s. And on the other end we have characters such as Superman and Captain America, WWII propagandists extraordinaire. Somewhere on that spectrum lies series like V for Vendetta and The Invisibles, each having to do with common man rising up against authority, be it governmental or corporate. No stranger to social and political commentary for profit or provocation, DC Comics is at it again, hedging their bets with a double release in May 2013. 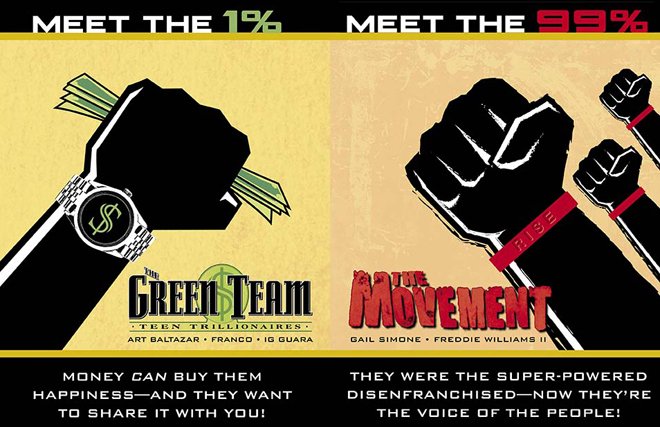 In this increasingly divided world of haves and have-nots, DC is releasing two companion titles in May 2013, inspired by current events: “The Green Team” and “The Movement;” Meet the 1%, and the 99%. The Green Team will explore such questions as “Can money make you happy?” and “If you had unlimited wealth, could you use that to make the lives of people better?” I wonder in what issue Female Force Ayn Rand will make a cameo? SuperWealth/SuperPower is a common theme, popularized with the likes of Batman and Iron Man. So what’s different about the DC Universe now? The Movement is an idea I’ve had for some time. It’s a book about power–who owns it, who uses it, who suffers from its abuse. As we increasingly move to an age where information is currency, you get these situations where a single viral video can cost a previously unassailable corporation billions, or can upset the power balance of entire governments. shut it all down. I’ve been in countries where the internet is heavily censored, but they can’t possibly keep up with millions of users from every corner of the world. The previous generations of superheroes were not created to address this, it’s a legitimately new frontier, both for the real world and for storytellers. The thing I find fascinating and a little bit worrisome is, what happens when a hacktivist group whose politics you find completely repulsive has this same kind of power and influence…what if a racist or homophobic group rises up and organizes in the same manner? It makes you wonder where the next battlefield will be. Frankly, by the middle of the interview I forgot she was writing The Movement, and instead thought she was sympathizing with the 1%. Maybe DC isn’t hedging as much as it appears. Interestingly, DC’s release date is right in the ballpark of another publication, created by individuals sympathetic to the 99%.Though no official release date has been announced, those supportive of the Occupy movement, have been hard at work on a collection of essays, art, and comics have planned to release an Occupy Comics Anthology for Spring 2013. I’m sure the timing is just a coincidence. The contributor list for Occupy Comics is lengthy and peppered with veterans of the comic book world. It includes none other than Alan Moore, of V for Vendetta fame. 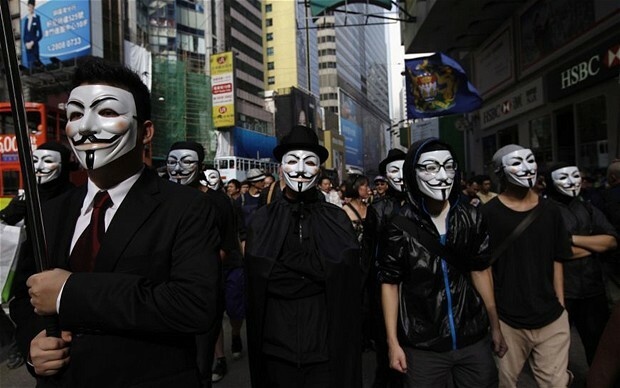 Alan Moore’s work inspired millions of the 99%, to the iconic point of putting an anonymous face to the Occupy Movement. Interesting he’s not working with DC on this one, eh? There are some that think comics have moved away from meaningful social commentary. In common parlance, comic publishers have “sold out.” Perhaps that’s true. A glance at the list of contributors to the Occupy Comics Anthology, as compared to those creating and contributing to DC’s latest attempt at art-influencing-life would certainly support that notion. It could be interesting to see what the creators of each series do with their opportunity to speak to current social unrest…or it could be yet more encouragement to drink the Kool Aid. I am in love. I just read a fascinating analysis of the various cases that challenged the Affordable Care Act. But this was no run of the mill legal analysis; it was an amazing journey through the narratives that propelled the law to the drop of the Supreme gavel. 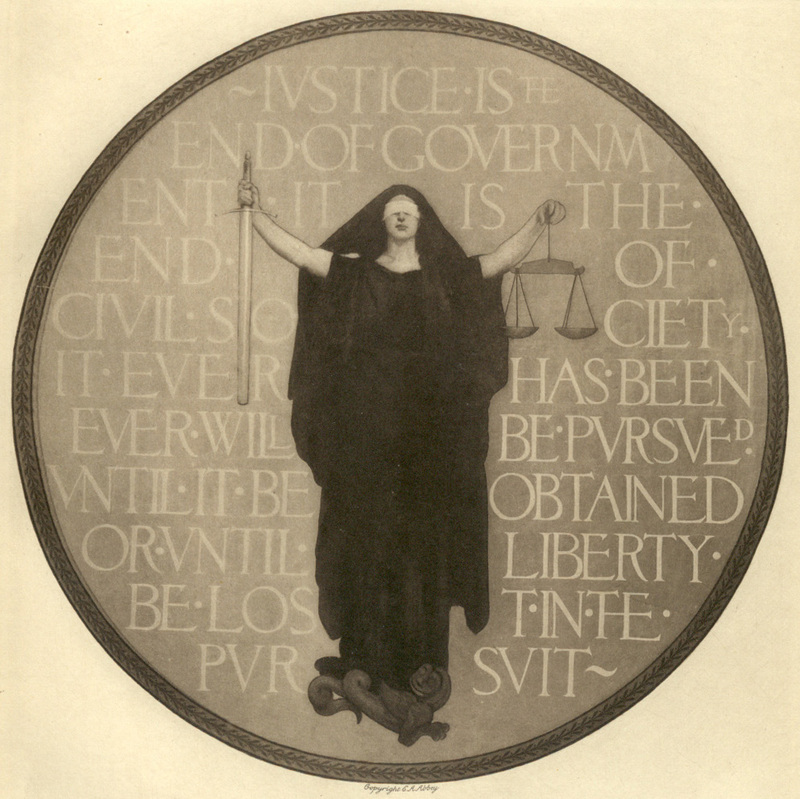 The author, K. Chestek, a professor at Indiana University School of Law, combined two of my loves–language and the law–as he explored twelve trial briefs filed in the mosaic of cases that lead to one of the most influential and important cases our Supreme Court has ever heard. 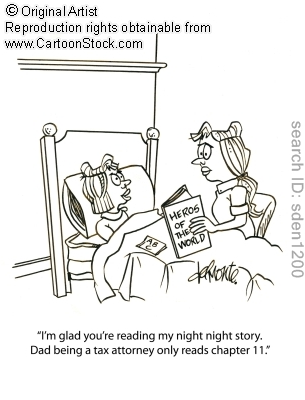 Chestek parsed the Hero’s journey sung by each plaintiff and defensive parry by each defendant, and compared the outcome of the cases, to discern if there was any pattern or correlation in the judge’s decisions based on the type of characters and obstacles chosen to tell the tales. It’s a refreshing look at the ACA, and intriguing glimpse into the power of language in the law. Oooo, it makes me tingle, it’s so nerdy! A great advocate for liberty bids farewell to Congress, with a parting gift of wisdom for the American People. Worth a listen, regardless of how you felt about his presidential run. The man has decades of experience in Congress, and as he points out, “no named legislation, no named federal buildings or highways–thank goodness.” Ron Paul illustrates that, contrary to convention, a successful political career for a true American is the lack of attributed massive federal expenditures. That’s old school political thought right there. Click on the quote or picture above to watch the address, or follow this link for a transcript. Supreme Court Justice Kennedy addresses the Heritage Foundation on our country’s 225-year-old founding document. As he tends to be a swing vote on the Court (an unpredictable tie-breaker, for the non-wonks), it’s interesting to hear his views and recount of the creation and meaning of the supreme law of the land. Follow the link to listen at C-Span’s website.